Annie, an HIV-positive baby, is abandoned at a hospital. But dedicated nurse Susan Lansing is determined to give Annie a chance. Sissy Spacek and Joan Plowright. Three award-winning stars give superb performances in this uplifting drama about three very different women whose lives are dramatically changed and enriched through their involvement with a baby born with AIDS. Annie, an HIV-positive baby, is abandoned at a hospital. She seems doomed to a grim, short life. 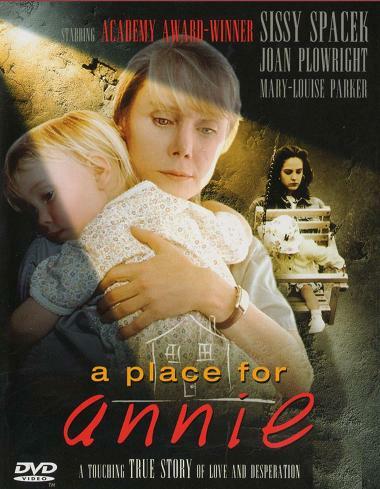 But dedicated nurse Susan Lansing is determined to give Annie a chance and despite the protests of family and friends, decides to adopt her. But who cares more for Annie? A loving and stable person like Susan? Or Annie's natural mother. Linda a hard bitten ex-drug addict with AIDS who unexpectedly reappears to claim her daughter with the law in her favour? There is only one solution to this heart-rending dilemma: with the help of Dorothy, a feisty Irish widow who becomes Annie’s nanny, Susan takes an enormous gamble to keep the baby she has grown to love as her own child.